The Luo brothers consists of Luo Wei Dong (1963), Luo Wei Bing (1964) and Luo Wei Guo (1972). 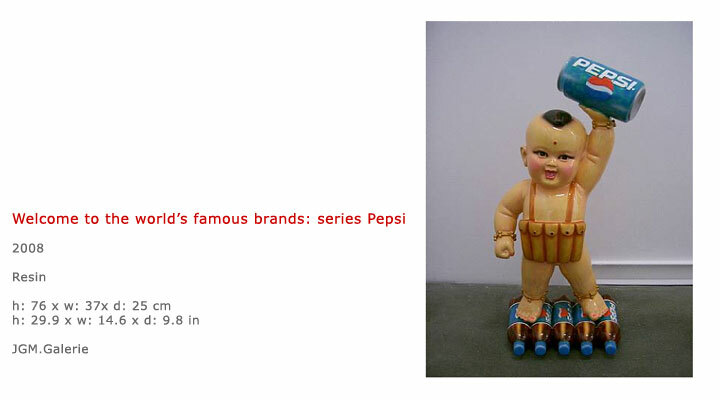 They were born in Guangxi province, China). 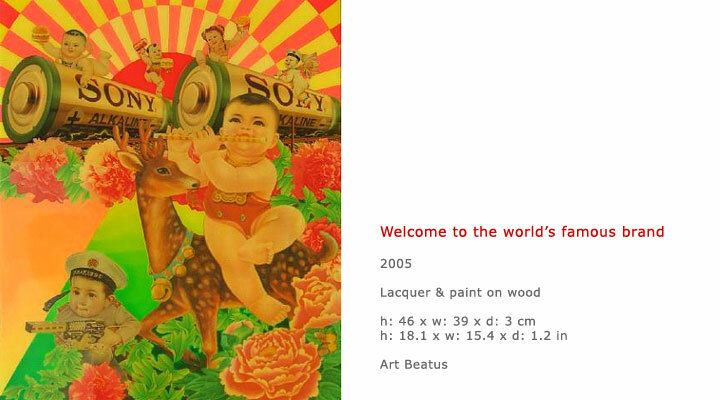 All are trained artists and attended different art schools in China; Luo Weidong attended the Guangxi Art College, Luo Weiguo attended the Guangzhou Academy of Fine Arts and both graduated in 1987. 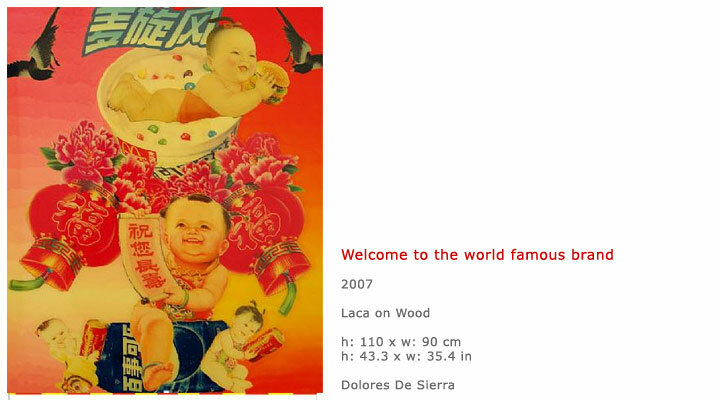 Luo Weibing, the youngest of the three, graduated from the College of Art & Design in Beijing. 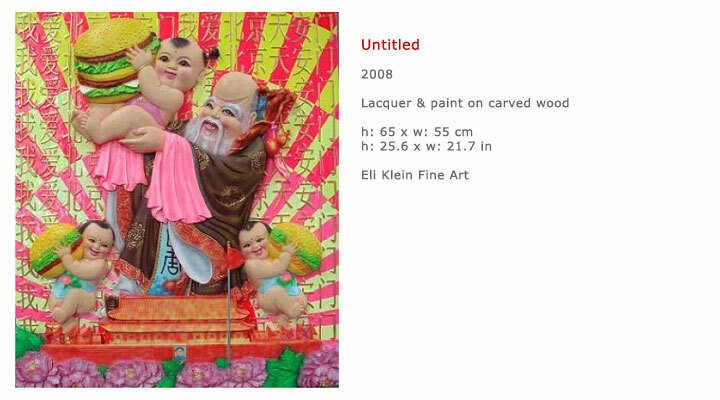 Collaborating since 1986, the Luo Brothers' translate the surge of East meets West into a visual language. 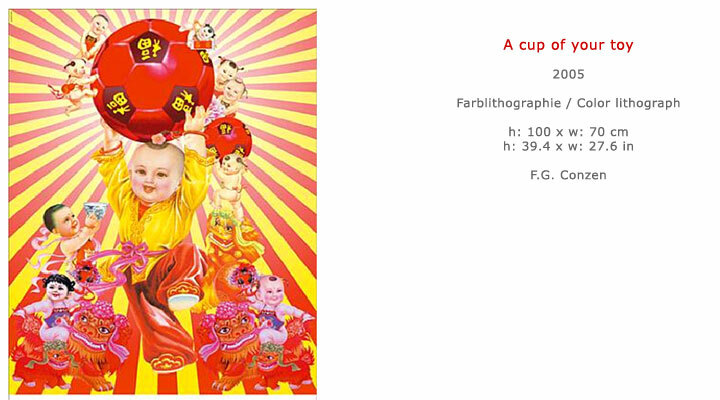 Their imagery and techniques reflect a myriad of stylistic influences ranging from traditional Chinese to Western pop and is exemplary of the current cultural explosion in China. 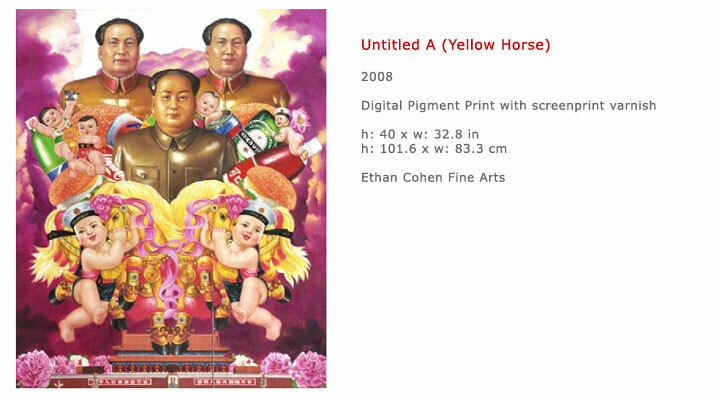 This new body of work is constructed from contemporary consumer culture, ancient Chinese symbolism and political propaganda. 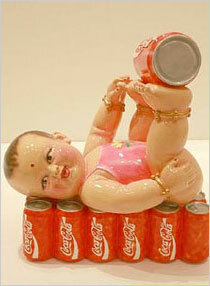 Their playfully cynical vision is a conglomeration of the components of Chinese society today. 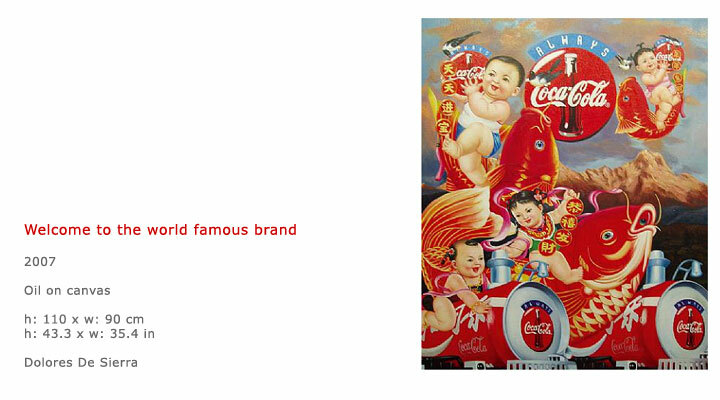 The combination of traditional symbolism with the logos and graphics of western culture heralds corruption by consumerism, but also offers a glimpse of a hopeful and prosperous future. Adding to their repertoire are new resin sculptures and carved woodcut relief panels with such shiny finishes they appear candy coated. 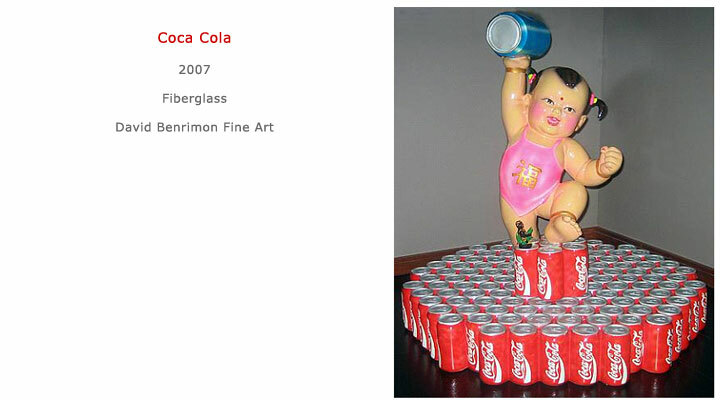 The resin sculptures with highly glossed surfaces depict cherubesque Chinese babies frolicking and playing amongst cans of Coca-Cola and hamburgers. 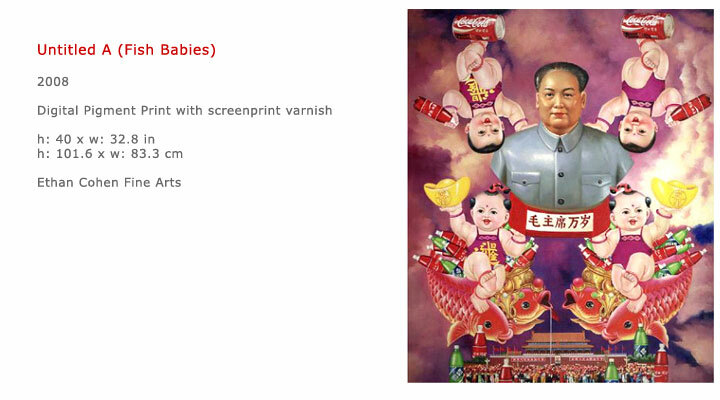 These bouncing babies, symbols of prosperity and success, illustrate the exuberant and merry nature of choice and the vision of a "new" China. 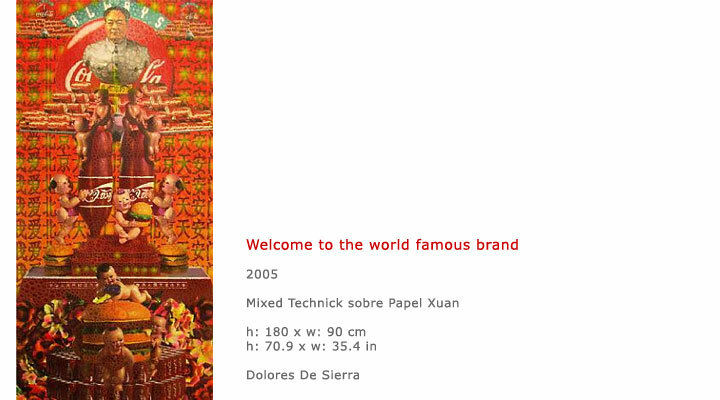 Similarly, mixed media lacquered panels include images taken from traditional Chinese calendars and collaged with familiar logos and symbols of Western consumer culture. Situated in front of the emblematic red and yellow Chinese sunshine, these densely packed scenes juxtapose the old with the new in order to illuminate the exuberance and energy that has hurled Chinese society into its current state. 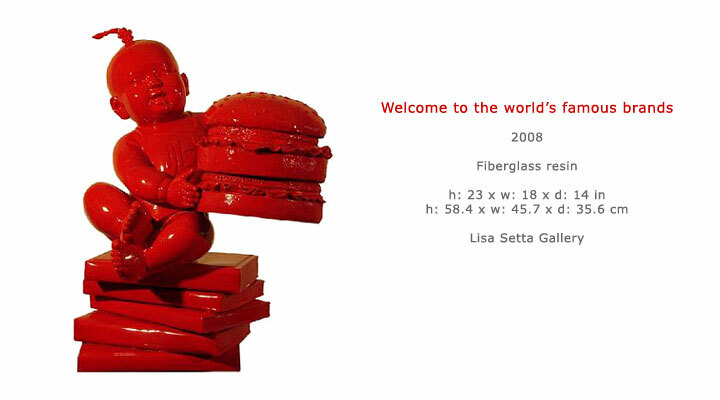 All three brothers make works on paper, lacquer on wood panel, carved wood panels and statues out of lacquered resin and fiberglass. 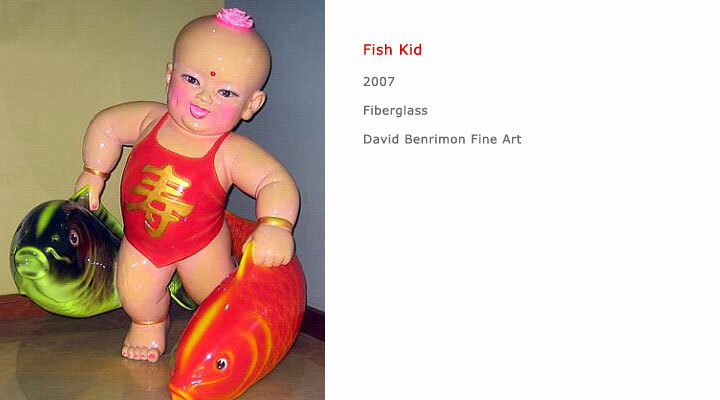 In all cases, the works come from the side of the oriental nature that loves the bright lights and red lanterns that adorn every Chinese restaurant and city at festival time that loves the fat babies meant to bring in prosperity and success.